Tellervo Kalleinen traveled around the world placing ads: “Plan a film scene in your home and give a Finnish woman a role in it”. She went to every home where she was invited and acted the roles she was given. The project was realized in Hamburg, Helsinki, Los Angeles, Seydisfjördur, St.Petersburg and Tallinn. Altogether 65 scenes were filmed. 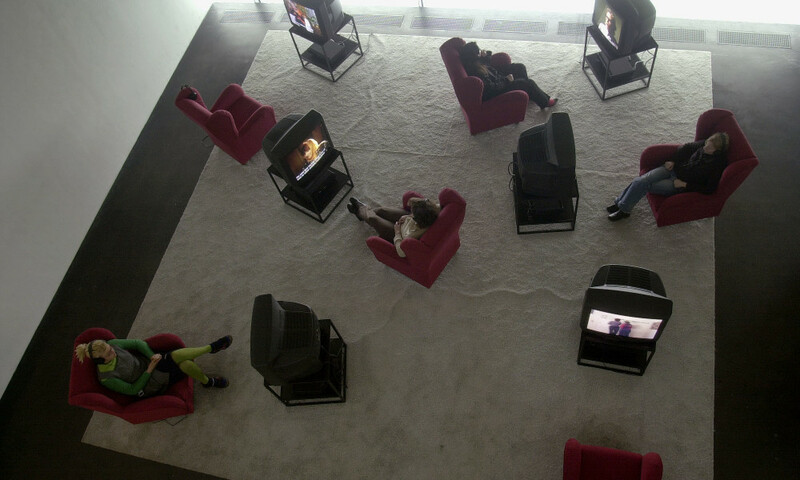 The work is presented as an installation with six arm chairs and six tv monitors on a carpet.